Now is the time that many of us experience dull looking skin due to the cold temps that tend dry our skin, taking away the moisture that provides that beautiful glow. If you have cool undertones, meaning your veins on your wrist appear more blue or you tend to reach most for silver jewelry, then cool tones such as the ones I'm wearing today and shown in my post Your Guide to the 12 Best Colors for Winter would really enhance your natural skin tone, creating a more luminescent and beautiful glow! If you're on the warmer side, this doesn't mean these colors won't work for you, so no need to fret! By adding in some brighter neutrals (think white and camel) and hints of gold, especially around the face (earrings and/or necklace) it will help to counteract the contrast of the cool toned colors and enhance your skin warmer tone, too! In case you're wondering how you can tell if a color is warm or cool, when you look at a color if it has a slight grey or bluish tint to it, then it's cool, if it has an orange or golden hue, then it's warm. 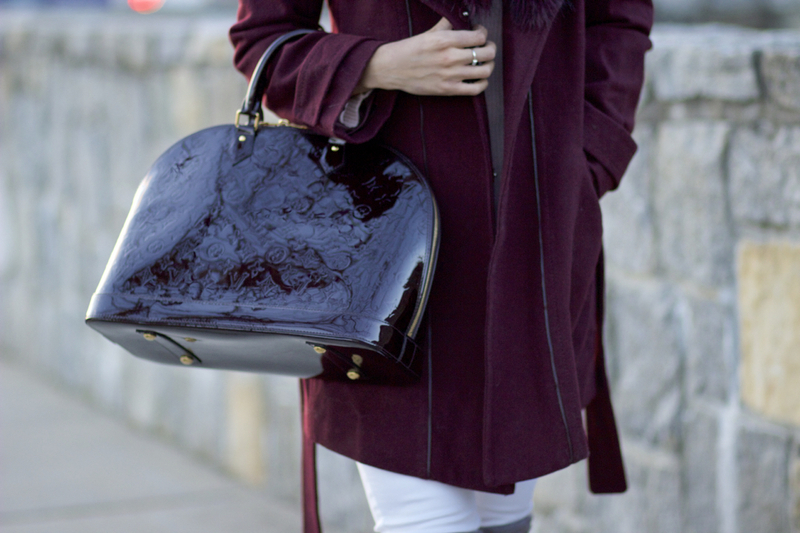 What are some of YOUR favorite color combinations come winter!? Do you tend to embrace bold colors or neutrals most? Thanks so much for sharing, my dear friends, and I hope you're having a wonderful week so far!